Spring is finally here! Trees and flowers are blooming, the days are longer, and the storms are severe. Yes, as the temperatures fluctuate and warm, moist air meets cold, dry air, thunderstorms are a common phenomenon throughout the season. As many people tend to be unprepared for the unpredictability of these storms, we’ve provided a few tips to make sure you’re ready! Your gutters are your first line of defense against flood damage. Their primary purpose is to redirect rainwater away from your home’s foundation, but when they are filled with debris, they become ineffective. Make it a point to clean your gutters as soon as possible to prevent any potential flooding or leaks into your home. Fallen trees can cause a lot of damage beyond physical destruction to your home. Until any damage can be patched, rain and other outside elements will create further damage to the inside of your home. If any trees are close to your house, inspect and remove any that are dead or show signs of disease. Even if they are all healthy, you might want to consider trimming any branches that could pose a threat. 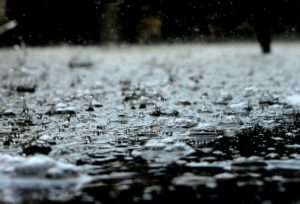 In many cases, when rain water intrudes in a home, it’s due to a preexisting weakness in either the roof or the foundation. An inspection of your home’s structure can shed light on vulnerabilities that you might not have been aware of. If you do identify any issues, be sure to address them sooner rather than later. Otherwise, they can open your home to substantial water damage! Storm or not, it’s always a good idea to know how to shut off your utilities. You never know when you might need to shut off your water or electricity, and you don’t want to waste time looking for it when you do. Storms, for example, pose a risk of flooding, which would likely mean the power would need to be shut off to prevent harm or additional damage. If you don’t already have an emergency kit, there’s no better time like the present to assemble one. Severe weather can create situations where it’s dangerous or impossible to travel, making it important that you can manage on your own, even if it’s just until it’s safe to leave. Fortunately, your basic emergency kit is generally sufficient for most weather situations. To learn more about creating your own emergency kit, visit Ready.gov. Spring is a great respite from the brutal cold of winter, but it brings its own set of challenges. While it can be difficult to know what kind of complications a storm can bring, you can mitigate some of the surprise by following the above tips and being prepared for whatever might happen. If nothing else, contact your insurance agent and make sure your home is adequately covered! This blog post was written by James Nagy of SERVPRO of Alexander & Caldwell Counties for Broome Associates. SERVPRO of Alexander & Caldwell Counties is a disaster restoration company servicing the Unifour area.